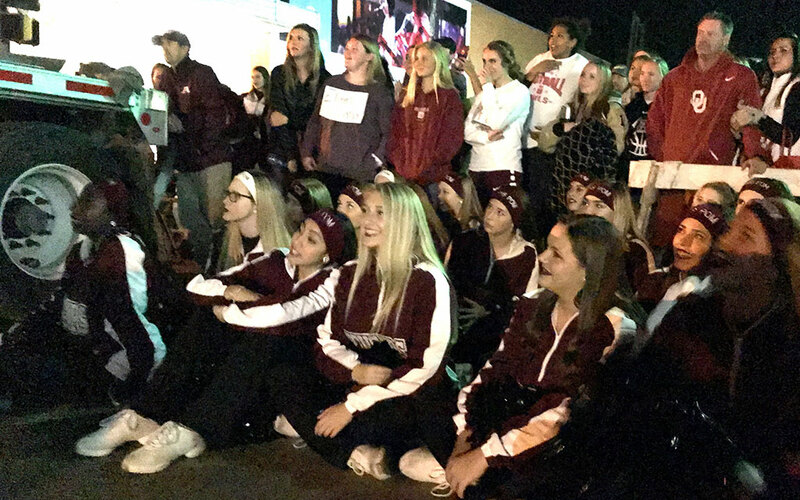 The Ada Couganns sit on Main Street and watch a skit set on a flatbed truck. 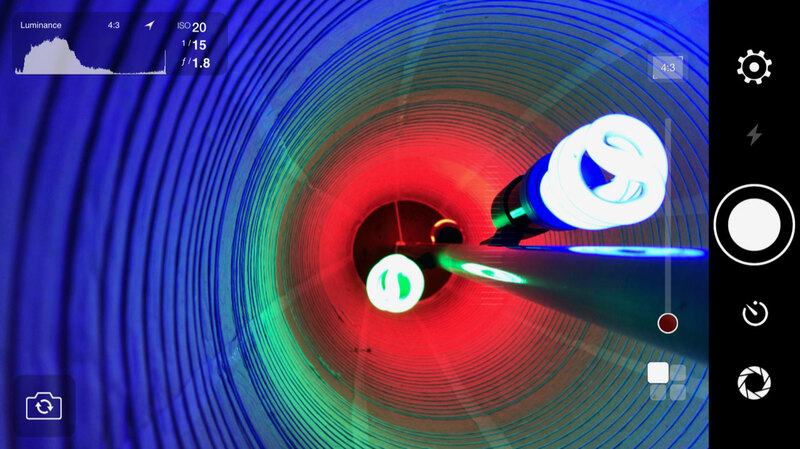 The bottom of this image is in deep nighttime shadows, and full of noise. 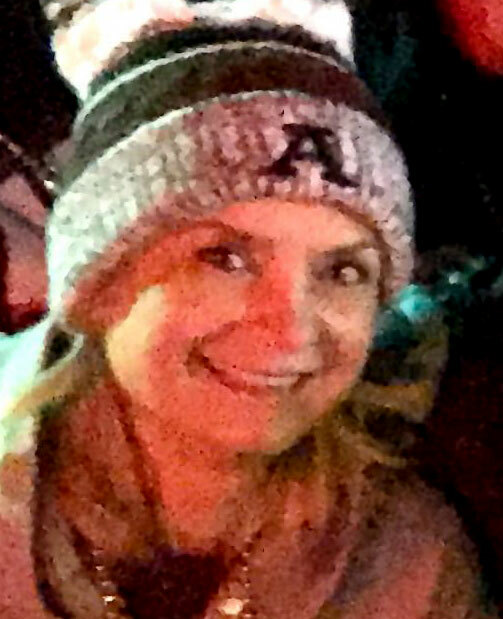 This is a 100% crop of a group photo I made at the pep rally, showing the noisy levels from the iPhone 7 Plus. The face is Kelly Maloy’s. I have known the Maloy family since before the beginning of time. I recently had a “web only” photo opportunity, since we published early in advance of the Veteran’s Day weekend. I decided that since I didn’t need print quality from my images, it would be a chance to take the camera in my iPhone 7 Plus, which my newspaper provides, to it’s limits to find out how well it’s camera performs in low light. The event I chose was a nighttime, outdoor pep rally in downtown Ada, which was illuminated by street lights and traffic signals. The internet seemed confident that the iPhone would do the job, and recommended an app called NightCamera, which I downloaded and used. The verdict? I wasn’t as impressed as the internet was, and although I was able to make some passable images that did the job, the overall image quality was disappointing. The f/1.8 lens combined with a maximum ISO 1600 to produce shutter speed in the 1/30th to 1/8th range. The images are surprisingly noisy, far moreso than a digital SLR set at much higher ISOs. The shadow detail dropped off harshly, leaving faces too dark even with in-camera brightening. Though the NightCam app has pretty good control features, I can’t recommend it due to it’s annoying ad policy, which in interferes with basic operation. The main reason I’m telling you this is to set the web straight: despite all the fawning over the iPhone 7 and similar camera phones, DSLRs and large-aperture lenses remain well in the lead for low-light and almost-no-light situations. 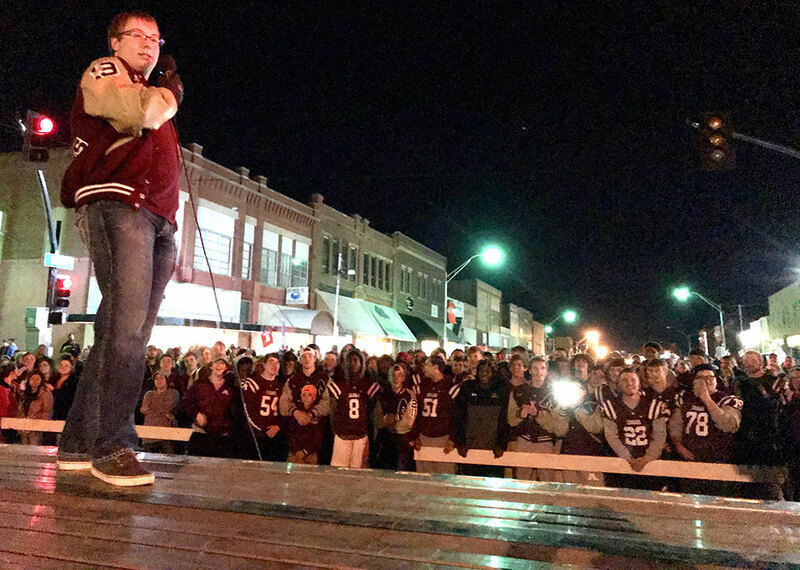 The Ada Cougars football team players and fans enjoy a pep rally on Main Street in Ada.